Nuzest is a lifestyle brand with education at it’s core; it’s all about cutting-edge nutritional science, being 100% natural with no nasty additives and fulfilling a mission to support people to achieve healthier, happier lives. The company was founded in Sydney in 2011, by a father and daughter's quest to combat Multiple Sclerosis. Nuzest recently launched in Europe and we have been lucky enough to be play a key part in introducing their innovative products; Clean Lean Protein and Good Green Stuff, to the European market. The Nuzest Europe sales team needed business cards that were eye-catching and with a point of difference to help them stand out, whilst maintaining the brand look and feel. Printing on GFSmith Colourplan stock, which is made with 100% virgin fibres and acid free, not only gave a premium quality feel, but also adhered to the completely natural ethos of Nuzest. A simple curved corner allows the cards to stand-out instantly and a shiny white foil block on the logo, adds a level of sophistication. 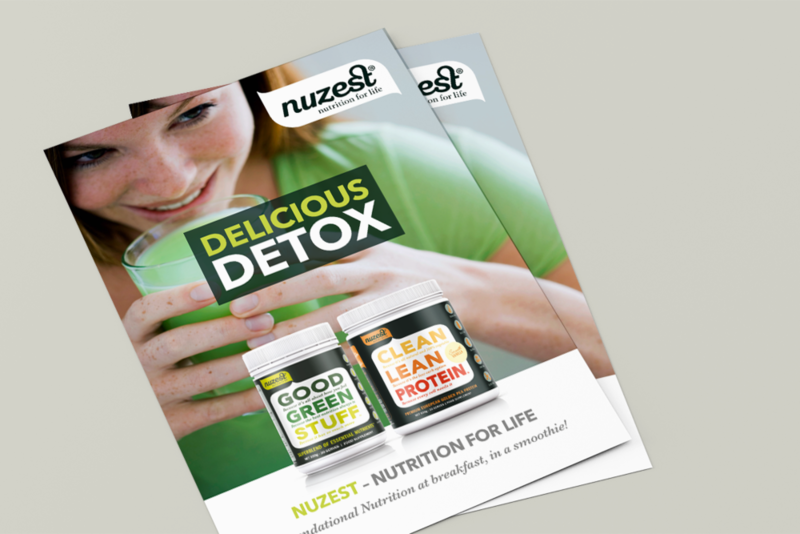 We are currently working with the Nuzest team to create visually striking printed material for use trade shows and in stores. This material is essential to promoting the brand and it's products in Europe, watch this space for updates.